Rohr says that there is no weak squad in the 32–team field, and anyone hoping to play so –called ‘average teams’ in the group phase is only guilty of wishful thinking. There will be no night vigil or prayer sessions for Super Eagles coach, Gernot Rohr ahead of Friday's World Cup draw in Russia. The Franco-German tactician is unequivocal that he is ready to face any team in the group stage of the Mundial and will not join the bandwagon of those wishing to have or avoid any particular team. 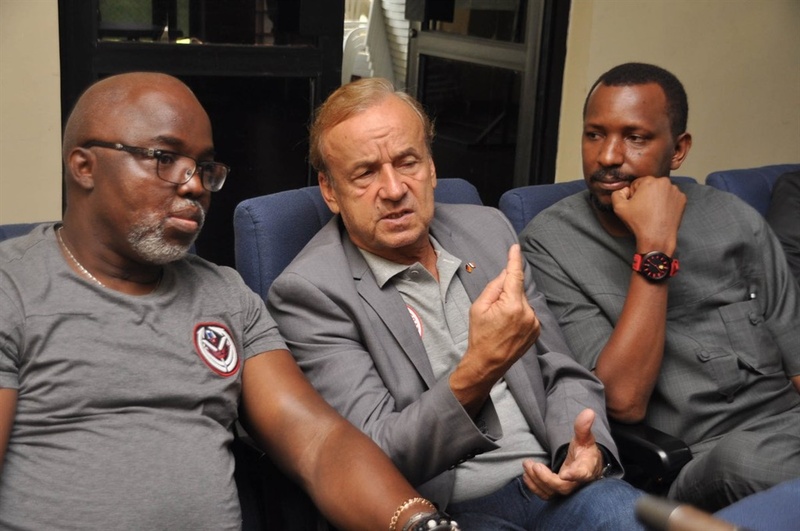 Rohr told thenff.com that there is no weak squad in the 32 –team field, and anyone hoping to play so –called ‘average teams’ in the group phase is only guilty of wishful thinking. ALSO READ: How About This For Super Eagles World Cup Kit? Nigeria emerged victorious from a truly tough qualifying group, which included three teams that were among Africa’s five flag –bearers at the 2014 World Cup, and the other – Zambia – having won the Africa Cup of Nations only few years before. All were former Africa Cup champions, and Cameroon were even the Cup holders. Between them were 10 African titles: Cameroon (5); Nigeria (3); Algeria (1); Zambia (1).